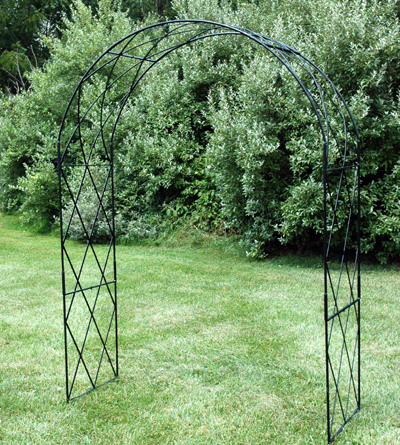 Classic solid rod steel arch comes complete with steel strip Latticework infills, welded in position. 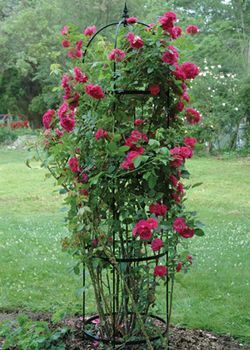 A great support for climbing roses and clematis in combination. Black powder coated steel. Solid steel assemblies fit together easily without tools. Loved the product, especially for the size. The only issue is it came slightly damaged, some of the insert holes were crushed together & a section was bent. I suspect it happened during shipping & we were able to make the repairs. Easy to assemble & it is the perfect support for my grapevines. Bought two for "arch walk"...shipped as promised..solid construction that can be anchored.....would have preferred green or verdigris color, but black works. The metal arbor is very nice. It's the second one I've purchased. I like it's strength and durability. I have a couple wood ones that I really love also, but they eventually rot, and the paint peels, so they require a lot of upkeep. Not so with these metal ones. This Trellis arch is gorgeous. I have bought many of these arches over the years and they were flimsy and lasted one year. This one is solid construction and should last quiet a while. The only problem with it is the screws that came with the trellis rusted after one shower. You should put stainless steel screws and nuts in the package. Otherwise the screws will fall apart before the trellis will. I purchased an arch approximately 10years ago and it's still going strong. Withstood wear and tear well including relocation to a new house. Trellis/arch has received multiple compliments over the years. Have used it for roses as well as clematis. Highly recommend. 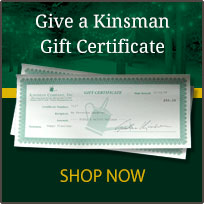 I bought this last year. I liked it so much I bought a second arch. Very solid. Seems like it will set a very long time. I grow clematis and the thin rods are great for the clematis to wrap around. I easily put it together by myself (I'm a 35 yr old housewife). The other reviewer mentioned that it needed longer screws. I almost didn't buy them bc of that review. I had no problem with mine although if my screws were too short that could easily be solved at any big box store for pennies. Overall a great solid arch. I'm ordering the pillars today to add to them!! I like this arch very much, with one exception. When assembling the pieces, the bolts supplied by the manufacturer are MUCH too short. Some of the connections were not completely tight and the extra length in the bolt would have helped me a lot. This would be a small and inexpensive upgrade.